You did a great job on fixing my front chipped tooth. It was done fast with no PAIN and I am a very sensitive patient! Your staff was wonderful and I especially thank Natalia. She put me at ease and was very friendly and made me feel calm and I appreciated it. Now, for the very 1st time in 30 years I'm not dreading but rather looking forward to going back to make sure I stay on top of my oral healthcare. Thank you Dr. Arzinger!! I had an emergency and had to find a new local dentist. Dr. Arzinger had great online reviews and the office was able to fit me in right away. The office staff are so nice and Dr. Arzinger is a wonderful dentist who is gentle, thorough and very personable. They use top technology, very efficient with time as I've never waited, and are always willing to explain everything. Fantastic! The environment is so welcoming and CLEAN! I am always nervous before a dentist appointment, they all made sure I was okay and informed of all the procedures being done. They take their time with you and answer any and every question you may have. Dr. Talltavall was so kind and made sure I was okay before starting the procedure along with Natalia which was very sweet and informative as well. At the end Ann took her time to explain all that needs to be understood when checking out. She also made sure my experience was great, which it was. I highly recommend this establishment. Excellent visit, as per usual! From start to finish staff is great. Not supposed to have fun at the dentist, but tooth repair was easy and staff was very nice, pain-free. 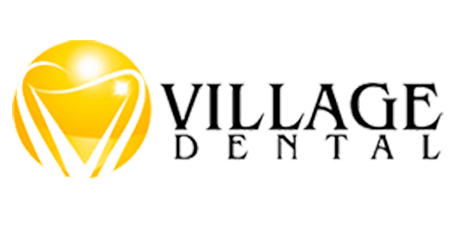 I have been coming to Village Dental for over 30 years. For 28 of those years I have been coming back to Ridgefield Park for my bi-annual checkup and whatever else needs to be done because of the trust I have in Hertha and Dr. Arzinger. They are the best. Had such a great experience at Village Dental. Everyone is so nice and professional and they made me feel so comfortable. I walked out of the office so happy that I finally found a great dental practice. The best! excellent exam and teeth cleaning was wonderful. Staff is very nice and extremely helpful. I’d recommend Village Dental to anyone! Can't say enough about Dr. Jalbout and Hertha. Both are masters at their profession. The entire office from front desk to billing is a pleasure to deal with. I won't go to anyone else. Dr. J is amazing! So kind and reassuring to patients like myself who have a phobia about going to the dentist. He makes getting dental work done not so bad after all... the office staff is wonderful too!! Thanks everyone! Starting from Dr. A. and the entire staff, Katie at the front desk, you could not ask for better professional service. My family has been going to Dr. A. for over 30 years, our daughters, grandchildren included. A great testimonial for this group of professionals. I️ can’t say enough great things about this office! I️ have been to everyone that works here, from Dr A who is always there for my regular visits to Dr J that has been my go to guy for root canals and implant! The both of them are incredibly talented. I’ve had fill-ins to implants with them and I know I’m getting a top notch job with them both! It starts off great when you walk into the office and see Katie at the front desk. She’s pleasant and a smile to great you when you come in! Hertha is unbelievable when it comes to taking care of my cleaning needs. I️ have to thank her for turning my periodontal disease around! I️ would be petrified to have cleanings! Not anymore with Hertha. She has worked with me through my fear of cleanings! Now they are not as scary or painful as they were before because she makes me want to have my teeth cleaned! The staff is the greatest! Diane, Natalia and Barb go beyond their job description to make you feel comfortable and not afraid! They are always there to hold my hand and talk to me when I’m fearful! The last but certainly not least is Ann, she is there to always work out my financial needs. Always working out a way to help Making my great dental health possible! She’s patient and understanding. Overall this office is fabulous! I️FINALLY enjoy going to the dentist because of these great people! My family has been going to Drs. Arzinger and Jalbout for over 10 years and I have nothing but positive things to say about the whole team. I would wholeheartedly recommend anyone to experience the great level of care that we have always received. Very professonal- very friendly- great atmosphere! Glad I choose Village Dental! Great experience. Everyone is very friendly and remembers your name. Had to call Dr. Arzinger on the emergency line during off hours and she answered and helped right away. Truly the best. This place really is the best. The staff is really friendly and Dr. Arzinger is extremely skillful. I've literally almost fallen asleep while getting a cavity filled. That's how good she is. I just want to say the staff an the doctors are the very best. They make you feel very comfortable and at ease. I just want to say that Dr. A. is the very best she always listens to me an answers any questions that I may have an she always makes me feel very comfortable. Dr. Arzinger and all her staff are the best I have come across In my entire life.